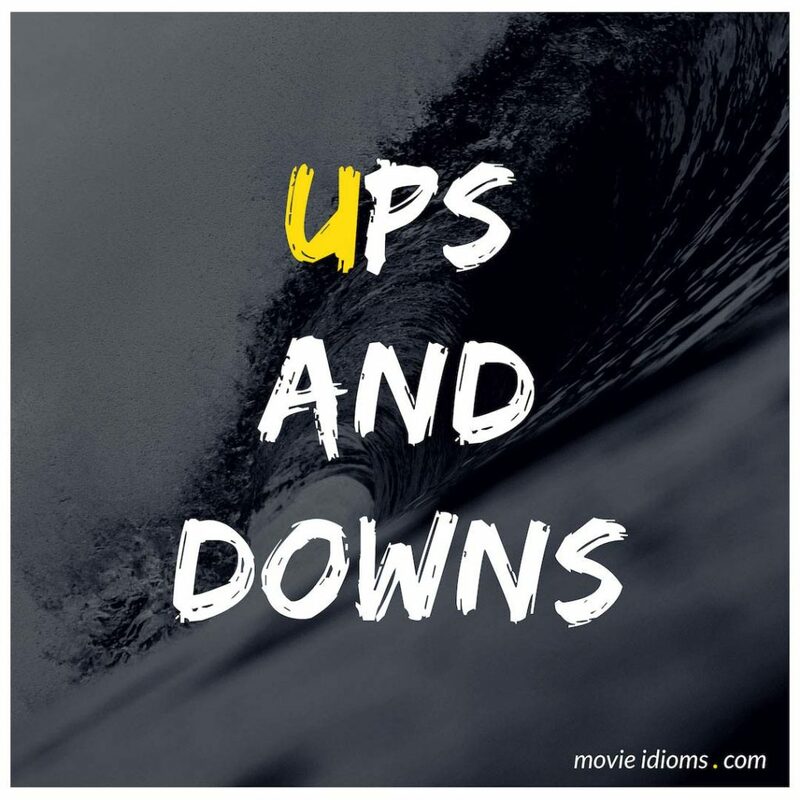 What does ups and downs mean? Narrator: Now in this world of ups and downs, so nice to know there are Jackalopes around. Hollis: Every job has its ups and downs. Woman: Life, as they say, has its ups and downs. At times, the waves may taunt you, tossing you in their swells. But take heart. It’s hard to stick with it and make it on your own. But even a couple of losers can survive most things if they’re together. So listen, take some advice and have children as soon as you can. Children are the best reasons for riding out life’s storms. Nowadays, people say child-rearing is challenging and difficult, but we’ve done it from time immemorial. Children grow even without parents. So hold them close to your heart as they crawl, then walk. They’ll be fine.